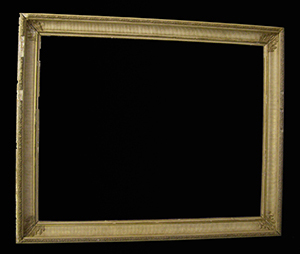 Examples of my Picture Frame restoration, before and after photos. 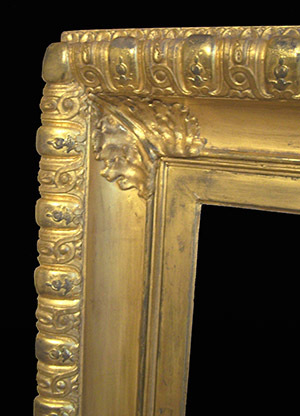 Picture frame coener restored and re-gilded. 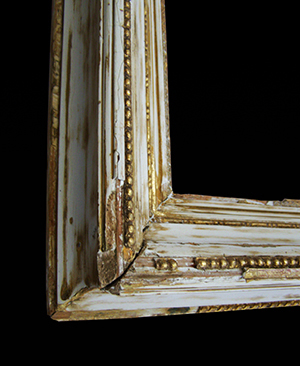 Picture frame corner with lots of missing decoration ans gesso. 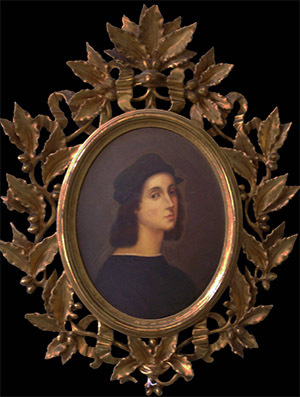 Photographed after removing the gold paint. 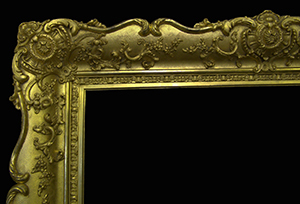 Picture frame after being restored and re-gilded. 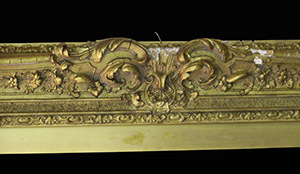 the gold paint and before restoration. 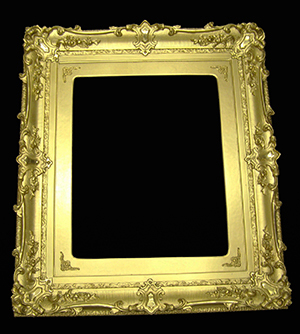 Picture frame after cleaned, repaired and repairs gilded. 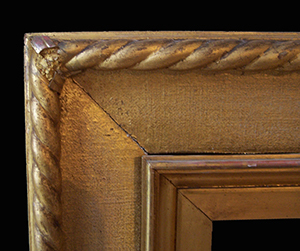 Restored and re-gilded corner of the picture frame. 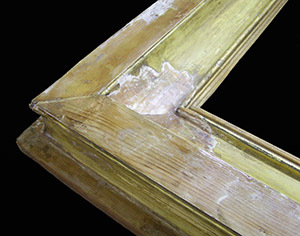 Close up of repaired picture frame. 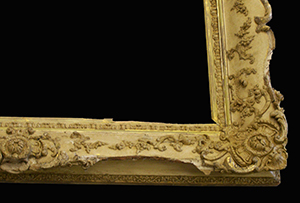 Corner of the picture frame before restoration. 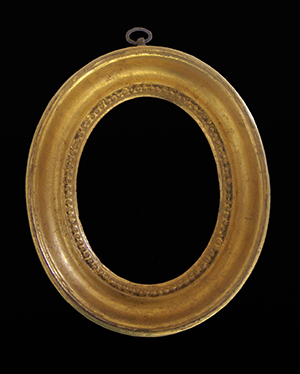 An oval picture frame, repaired and re-gilded. 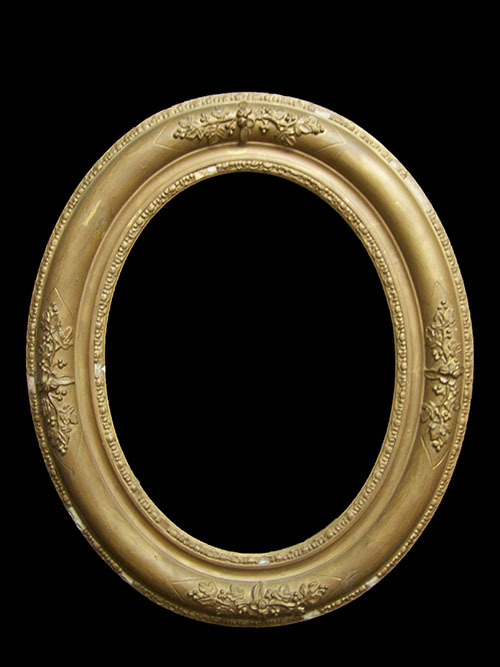 An oval picture frame before restoration, painted gold. 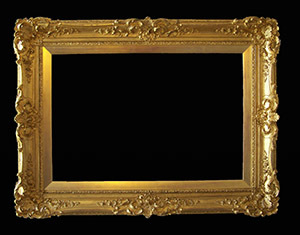 Picture frame after restoration. 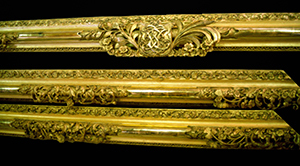 Cleaned, repaired and repairs gilded. 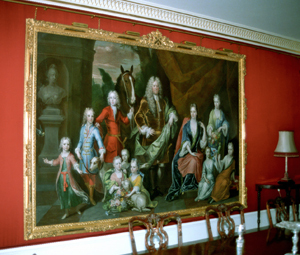 The picture frame was so large it had to be assembled in the dining room where it was to be hung. 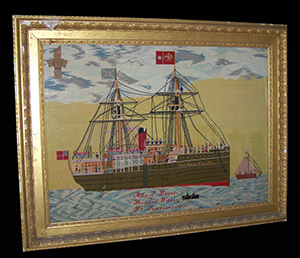 Vary large picture frame after restoration ready to be asembled. 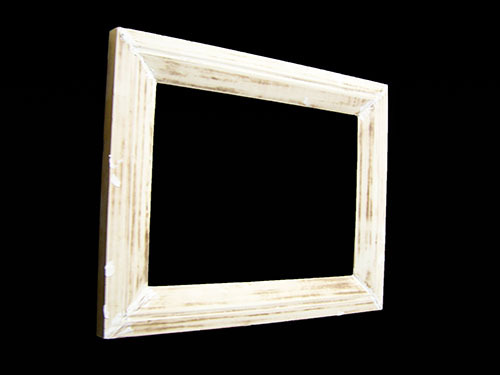 This picture frame had a lot of missing decoration and gesso. 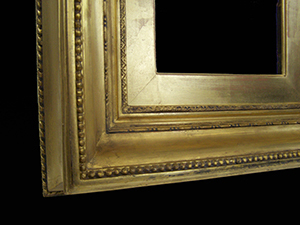 Small oval picture frame repaired and re-gilded. 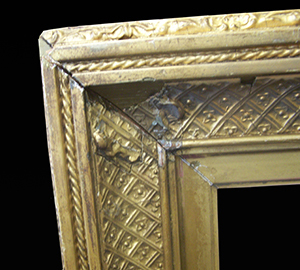 Small oval picture frame before restoration. 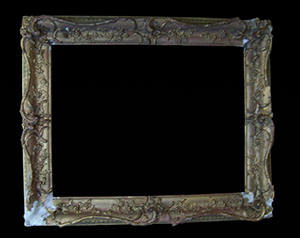 An English picture frame after restoration. 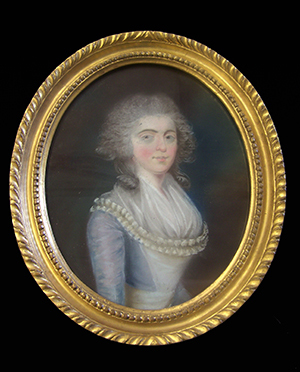 Restored and re-gilded. 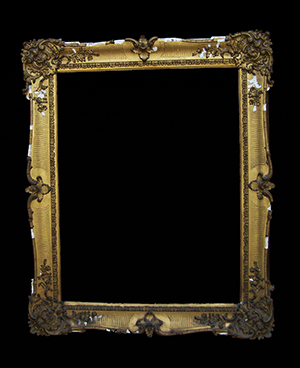 Picture frame before restoration. 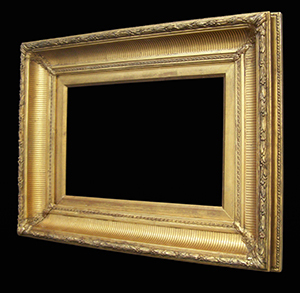 This frame was originaly gilded in green gold. 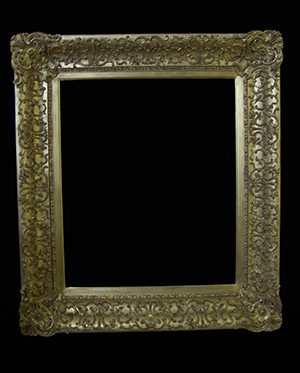 English picture frame after restoration and re-gilded. 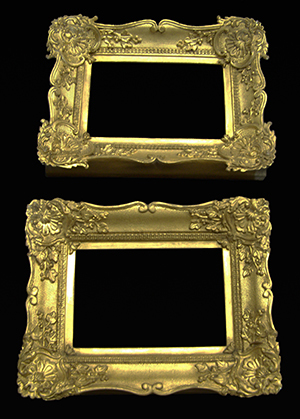 Pair of picture frames after repair and re-gilding. 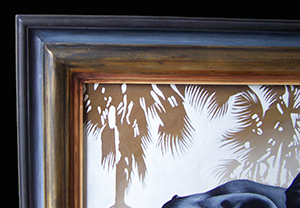 Close up of repaired crown and palm top. 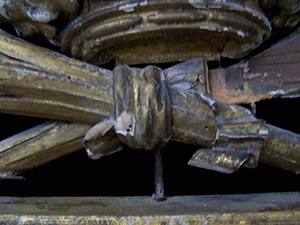 This one of the pair was missing parts at the top and a very damaged bottom rail. 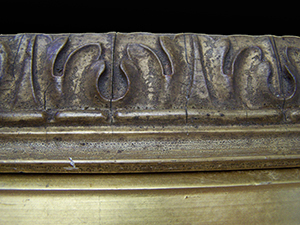 Close up of crown and palm top before restoration. 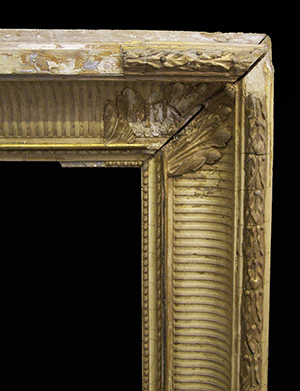 Picture frame before restoration, this frame of the pair was missing most of the top decoration. 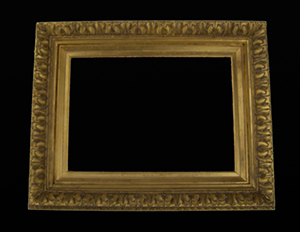 Gilded English carved wood and compo picture frame after restoration. 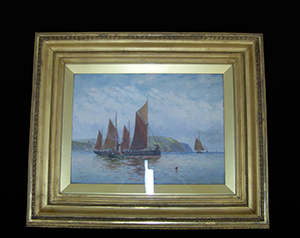 Cleaned repaired and part re-gilded. 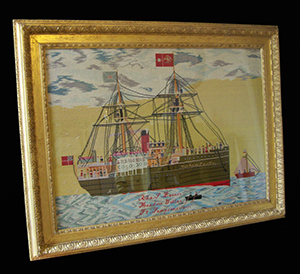 Restored and re-gilded picture frame. 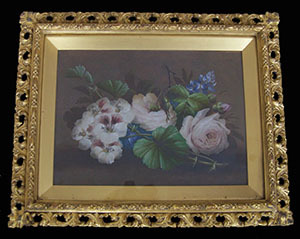 Small picture frame after restotation. 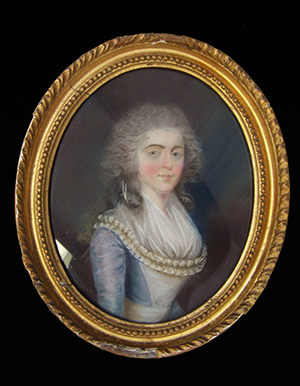 Repaired and re-gilded. 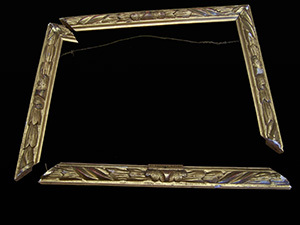 Picture frame fell off the wall and came to me in pieces. 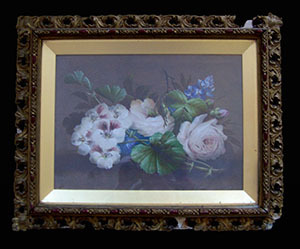 Small picture frame after restoration. 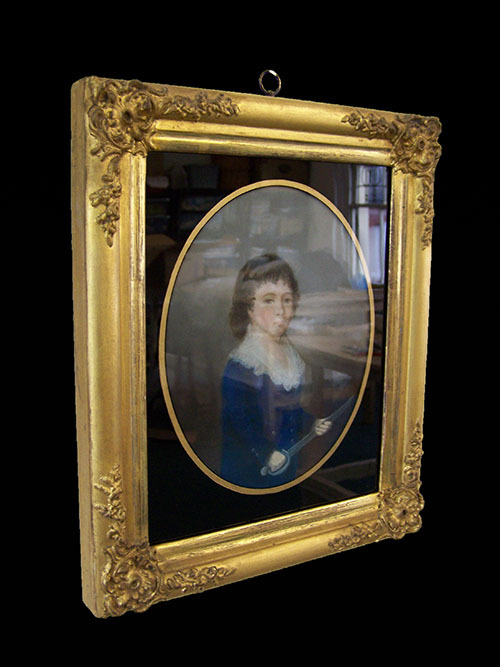 Small oval picture frame after restoration. 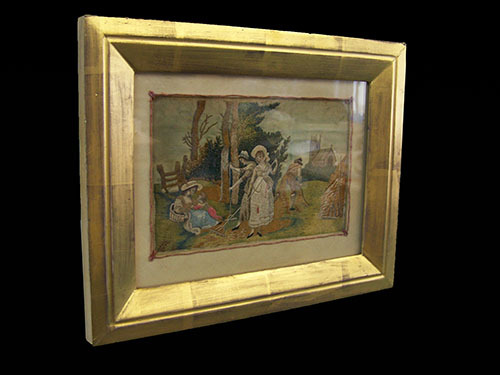 Small picture frame before restoration. 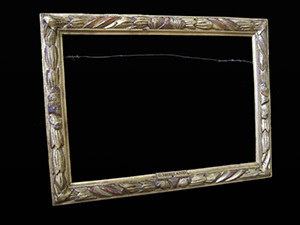 Small oval picture frame with damaged decoration. 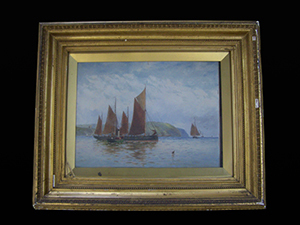 Small picture frame after restoration, repaired toned in to match. 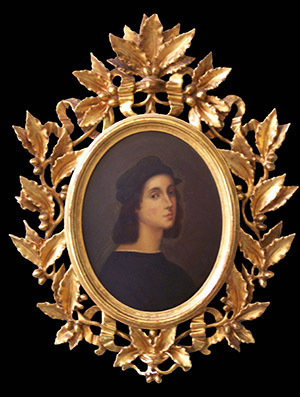 Small picture frame before restoration with pieces of the decoration and gesso missing. 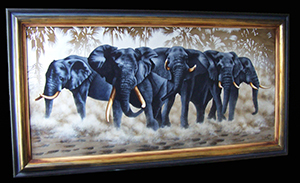 attaching broken bar and blending in the paint. 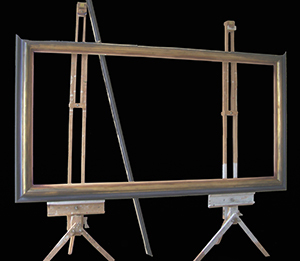 Painted picture frame with broken top bar. 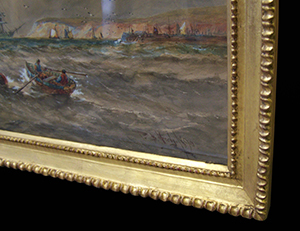 Small picture frame, repaired and re-gilded. 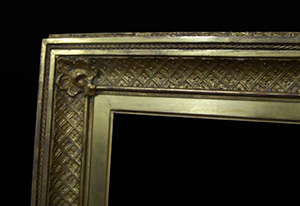 Picture frame in the middle of restoration. 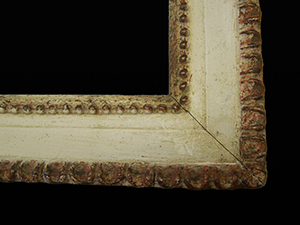 Picture frame after I had toned down the metal leaf. 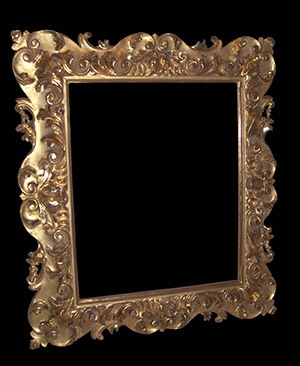 A picture frame which had been gilded in metal leaf and was too bright. 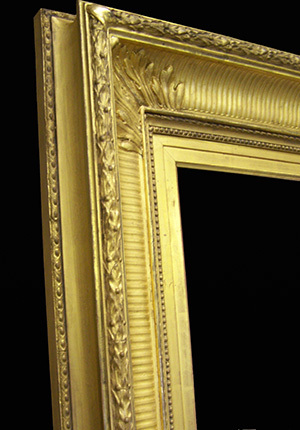 Oval picture frames being restored. 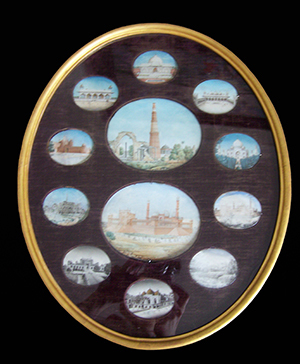 Each oval frame was in 4 pieces. 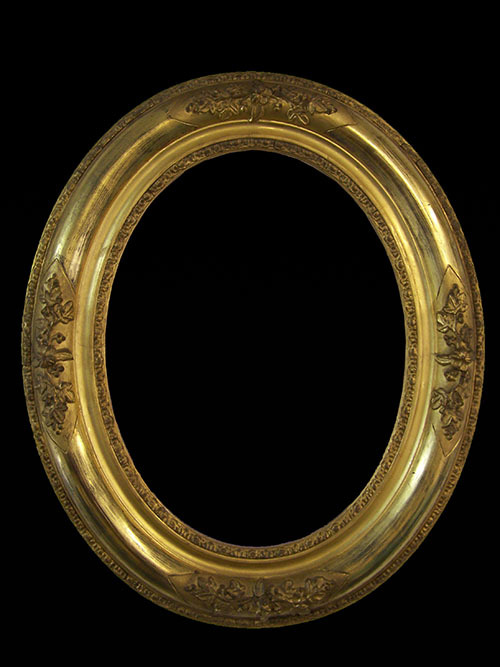 One of a pair of oval picture frame after restoration. 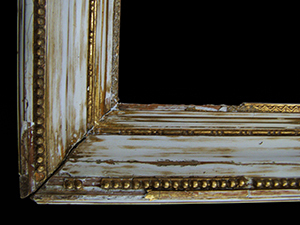 Above picture frame before restoration covered with dark gold paint. 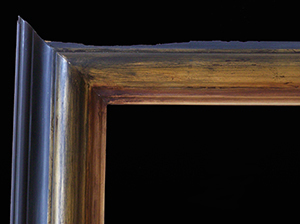 Above picture frame after the paint and old restoration was removed. 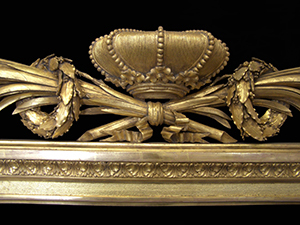 Oval picture frame with bay leaf decoration , after restoration. 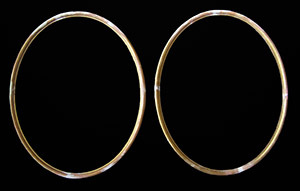 Cleaned and some repair. 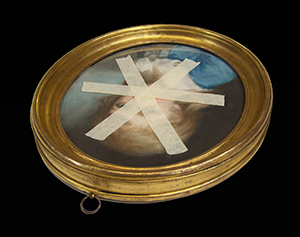 Oval picture frame before restoration. 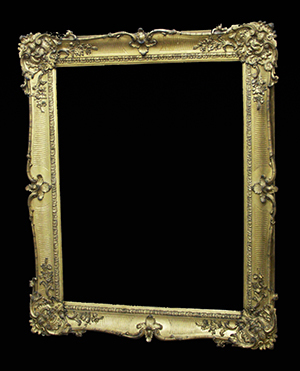 Picture frame after restoration. 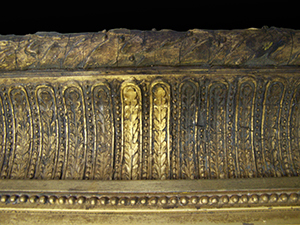 Repaired, cleaned and repairs gilded. 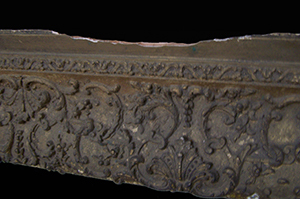 Picture frame before restoration, with lots of little missing bits of decoration. 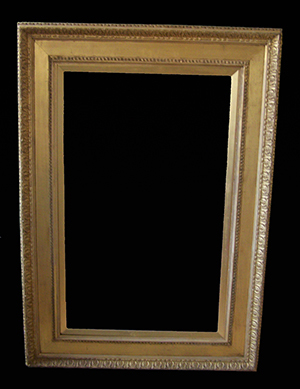 Small oval gilt picture frame after restoration. 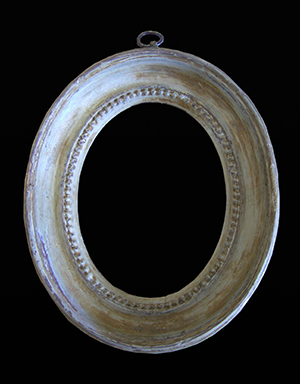 Small oval picture frame with missing gesso and painted gold. 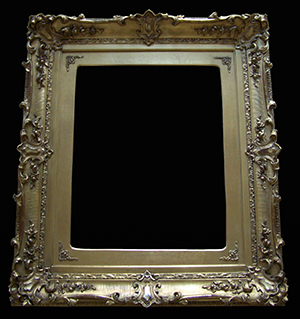 A picture frame with all the cleaning of the gold finished. 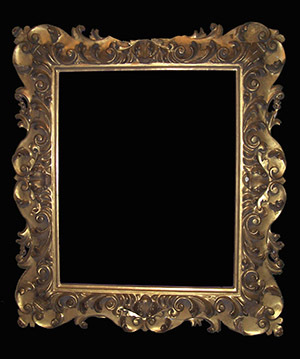 A picture frame at the start of cleaning the gold. 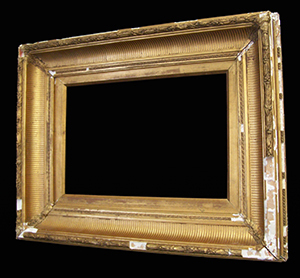 Small plain picture frame, repaired and re-gilded. 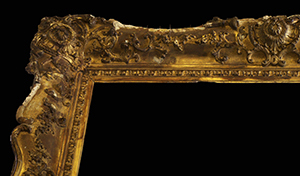 Small picture frame in the middle of restoration. 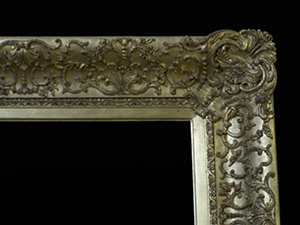 Picture frame restored and gilded. 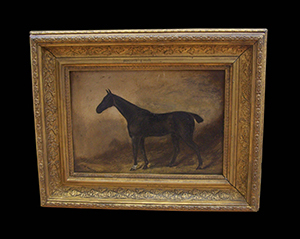 A painted picture frame to be restored and gilded. 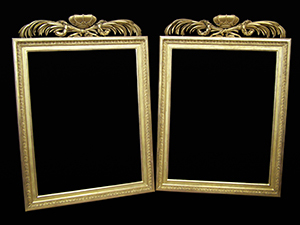 A pair of small picture frames after restoration. 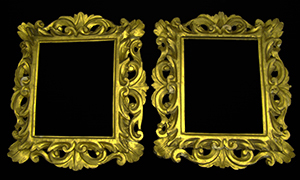 A pair of small picture frames, before restoration. 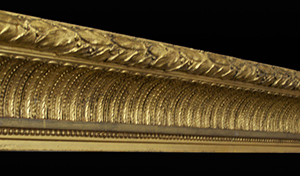 Re-gilded after removing the old oil gilding. 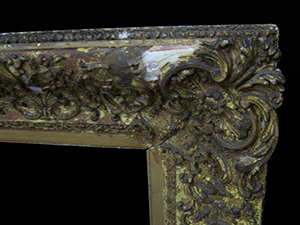 Picture frame before restoration, the oil gilding had degraded. 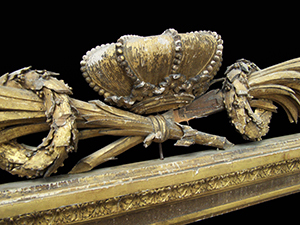 An Italian carved wood picture frame, after restoration. 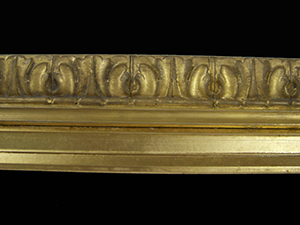 Cleaned restored and part re-gilded. 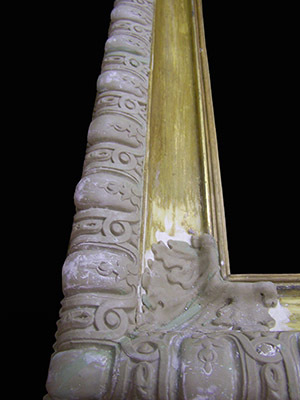 Italian picture frame before restoration. 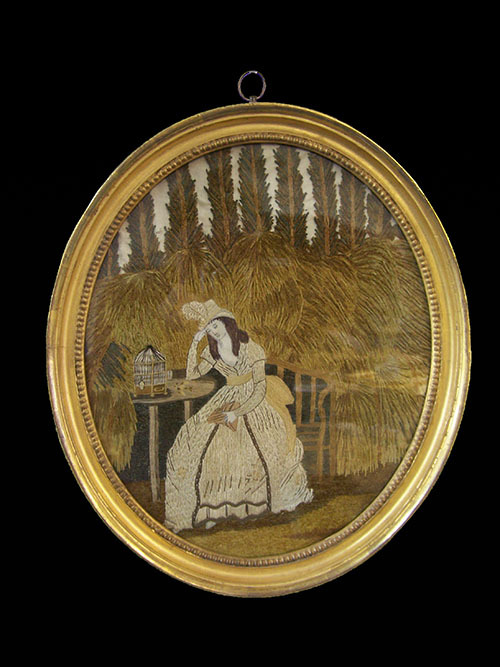 Miniature oval picture frame after restoration and re-gilding. 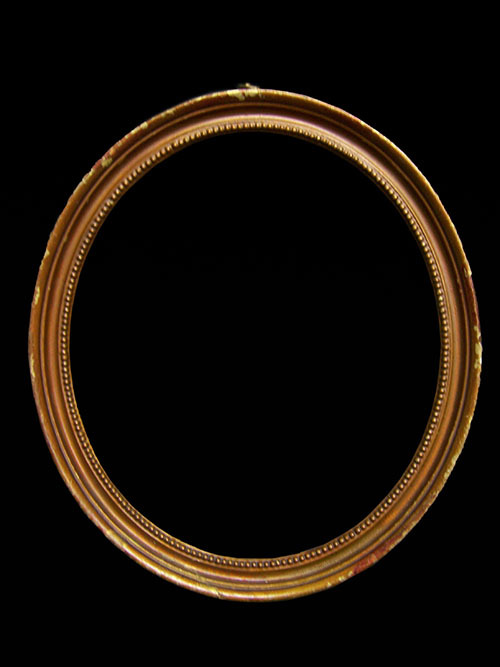 Miniature oval picture frame with gold paint removed. 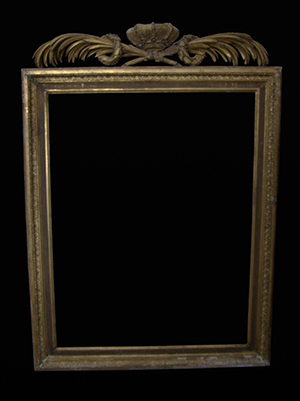 An English picture frame, after restoration. 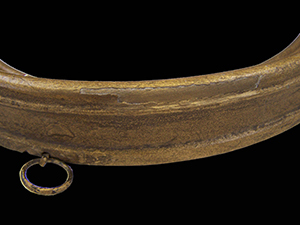 Restored and re-gilded. 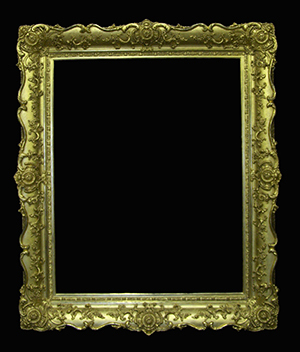 Picture frame with compo decoration added. 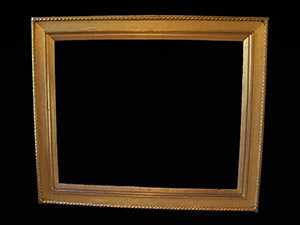 Picture frame missing all it's decoration. 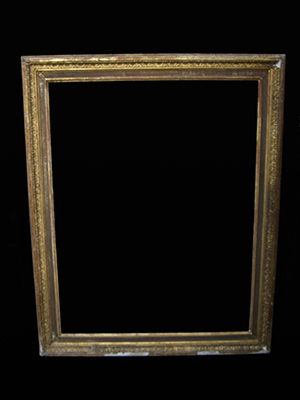 Large English picture frame, after restoration. 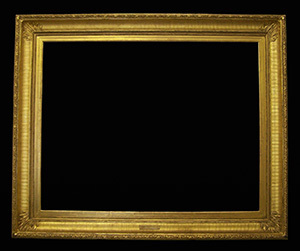 Cleaned restored and part re-gilded. 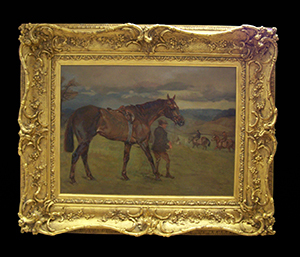 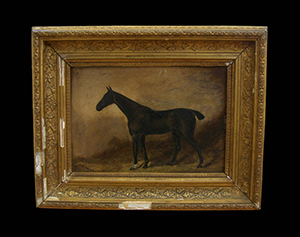 Large English picture frame before restoration. 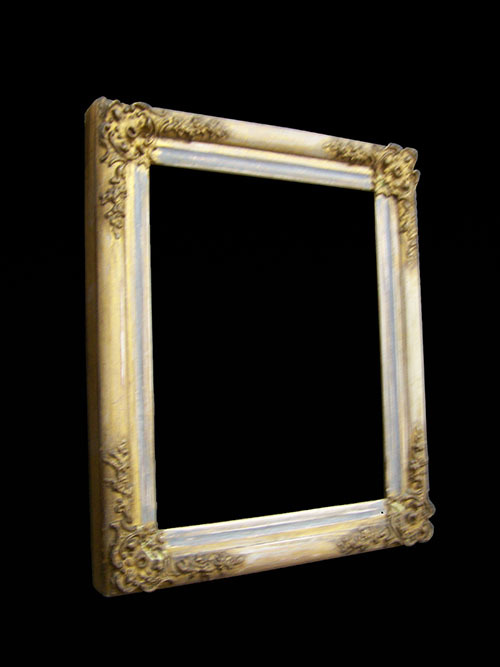 A picture frame with bits of the decoration missing. 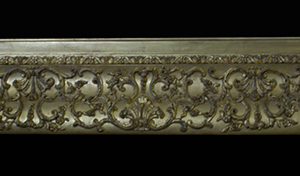 Picture frame with corner decoration replaced and gilded. 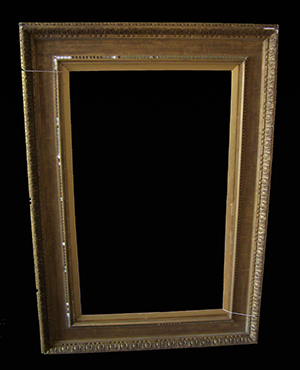 Picture frame with missing corner decoration. 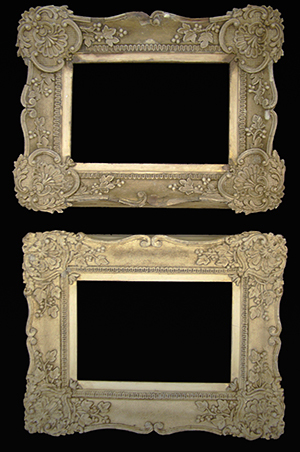 A pair of Italian picture frames after being cleaned and repaired. 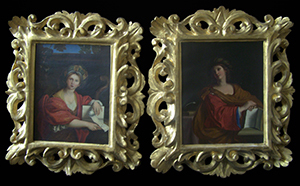 A pair of Italian picture frames before restoration.